The supplement covers summaries of a surveillance system evaluation, secondary data analyses and several protocol-based studies. The output represents the product of field-based interactions that the residents had in the course of their experiential training in applied epidemiology.This builds up on the first NFELTP supplement published in July 2014 and the progress that the program has made since its inception in 2008. This collection of articles comprises a wide variety of subjects ranging from infectious disease epidemiology (malaria, HIV, measles, rubella, tuberculosis, Ebolavirus disease, pertussis) to non-communicable diseases and injuries (road traffic crashes, intimate partner violence). It also represents the work carried out in nine states(and the Federal Capital Territory) in Nigeria(Abuja, Anambra, Enugu, Gombe, Kano, Kaduna, Niger, Ogun&Ondo) and Sierra Leone. Most of the studies involving HIV, tuberculosis and malaria were conducted in response to national priorities set by stakeholders in Nigeria. This demonstrates the integration of the FETP in the national health system and ensures that it continues to be relevant in protecting the health of the populace. The NFELTP is part of the newly created Nigeria Centre for Disease Control, the country?s National Public Health Institute. 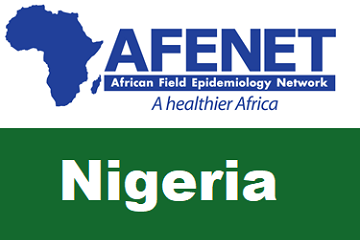 We expect that these articles will stimulate further discussion and help to identify other relevant research questions to be addressed across Nigeria and the African region on these important public health issues.